Chicago: Andreas Atlas Co, 1875. First Edition. Hardcover. Good. 1st edition. Atlas folio, 46 cm. Rebacked on modern black cloth, original embossed boards with gilt seal on front board. Edge wear to boards. vii, 590 pages illustrations, maps (some color), portraits. 339 pp. 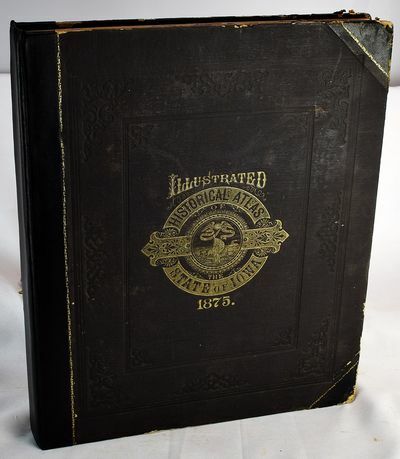 246 lithographic maps & portraits. Crease to half title. Minor repair to top margin of first few prelims. Small book plate of Henry L. Jost, Jr. Kansas City, Missouri. Howes A246.